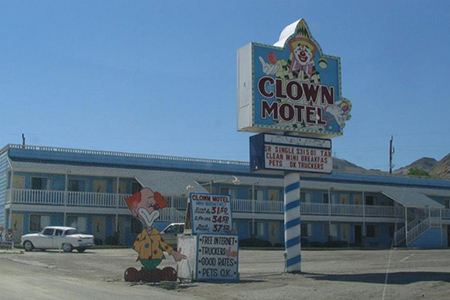 Located in the old gold and silver mining town of Tonopah, Nev., this Clown Motel is most certainly not the place for people suffering from coulrophobia (a.k.a., the fear of clowns). Not only is the lobby filled with hundreds of assorted clowns, from figurines and wall art to assorted trinkets, but each and every room is clown themed, as well. Freaky enough for ya? It gets worse. 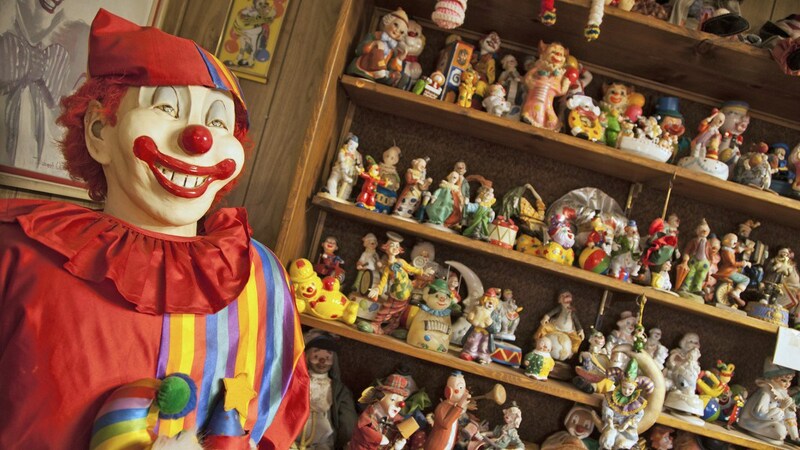 The motel’s owner, Bob Perchetti, is ready to retire and move on from the creepy clown shrine he opened 20 years ago. We can only guess what kind of buyer is going to chomp at this bit—actually, we shudder to think. The motel is for sale for $900,000, but one condition: the motel must keep its heritage. Take a further look inside The Clown Motel in this video from Las Vegas Now.